Genius Burn is a unique formula that claims to be a 2-in-1 product that will boost brain power, improve mental clarity and is also a thermogenic fat burner that will help you to shed some pounds. Want a nootropic and weight loss supplement in one powerful formula? Well, that is what Genius Burn is all about. This brand claims that it can help elevate your mental performance, focus, and cognitive functions while providing fat burning effects. The team at Genius Burn have taken two, somewhat unrelated items and have combined them into their caffeine-free, nootropic supplement. The makers of this dietary supplement have put together a formula that they claim is a 2-in-1 product that will boost brain power, improve mental clarity and is also a thermogenic fat burner that will help you to shed some pounds. For thousands of years, there have been things that go together very well. Peanut butter and jelly, a needle and thread, night and day. However, every once in a while someone gets the idea to combine two individual things that normally are not associated with each other in order to form a new, supposedly better, thing or product. Lose weight and be more mentally focused? Sounds like a winning combination, but let’s take a closer look at this product. Let’s go and take a look at the ingredients, customer reviews if there are any possible side effects and of course, the overall product review. What makes this product different from the rest is that it works as a nootropic (brain enhancement supplement) and weight loss aid at the same time. So this supplement has enticing offers that can get your interest. With Genius Burn, you can improve your mood (which can help you to avoid excessive munching) while burning those excess fats. The ingredients in Genius Burn are all-natural. With a focus on enhancing your cognition and providing a small boost to your metabolism. Having an increased level of focus, positivity and energy is crucial if you are losing weight. But not as crucial as full optimizing your metabolism and suppressing your appetite fully. This isn’t a bad idea, but trying to fit enough in to do both of these jobs has clearly proved quite testing. There’s plenty of herbs in here that are largely unproven, but let’s take a closer look at the stuff that will work. Ashwaganda: This ingredient helps lower cortisol levels, the stress hormone. When you have high levels of cortisol your body stores more fats essentially. As this ingredient has an effect on cortisol, and cortisol plays a role in the metabolism of fat for energy, this is a good start. Typically it’s found in other supplements at around 400+mg. So even with two capsules, Genius Burn could be a little underdosed. Theacrine: A stimulant with similar effects to caffeine. Whilst early studies are promising on this ingredient, it’s worth noting that these were performed on rats. Human studies are yet to confirm its effects. L-Theanine: This will aid with focus and also take the edge off stimulants, allowing the energy to be channeled and also keeping cortisol levels lower. Genius Burn is a little on the low side as you want 200mg+ for this to be truly effective. Capsicum: A fat burner staple. This will get your body hot and your metabolism fired up. Your bodies’ reaction to supplementing capsicum will see it burning extra calories to cool itself down. Panax Notoginseng: Has been reported at higher doses to help with insulin resistance and fat mass reduction. Due to the lower doses of ingredients Genius Burn will carry little risk for you. Not only that though, but the product only boasts natural ingredients which is fantastic if you are wanting to avoid any side effects. It also has some handy Vegan capsules, which is quite a rare find. Before taking any supplement, it is recommended to consult with your doctor to be sure that the product is safe for you and any health conditions that may be impacted by the ingredients used in this product. On the surface, there are many reasons to like the Genius Burn Thermogenic Fat Burner. The makers claim that this product will increase energy, provide great focus and mental clarity, all while helping you to shed some unwanted pounds. 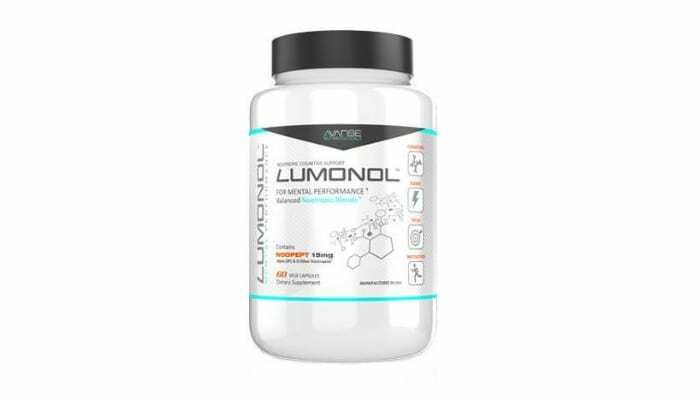 The manufacturers claim again and again in their product description that their supplement has been scientifically tested and proven to be an effective weight loss and nootropic supplement. Based on the trademarked ingredients that we listed above, they have shown an increase in mental clarity, calmness, and even weight loss on their own. None of the ingredients have been tested together though. Where can you Purchase Genius Burn? Consumers should pay close attention to the shipping and return policies of individual sellers before committing to buying this supplement. The good news is that there are several online retailers that readily ship the Genius Burn dietary supplement. The product description for Genius Burn claims there are nine ingredients that have been tested or “backed.” Without an official website to share links to this research or even the name of a study, we really have nothing to go one. What we found more interesting is that nearly the entire formula is made with brands that have been registered or trademarked. Sure, each of the companies behind them will claim clinical support, but again we’ve nothing to go on and we didn’t come up with much when we looked around. Another thing to consider is the addition of green tea extract. We love this ingredient because science stands behind it, but it does supply caffeine. According to the makers of Genius Burn, this product is free of the stimulant. It was somewhat difficult to research the individual ingredients that are in Genius Burn Thermogenic Fat Burner, as most of them appear to be trademarked ingredients supplied by outside companies. But, before you order this supplement, it might be a good idea to do your own homework to make sure you know exactly what you will be taking. What's the benefit of the trademarked ingredients? Answer: This is literally the only way I trust supplement ingredients anymore after seeing a thing on YouTube about shred gym supplements and label extract fraud. The trademarked ones are at least made by American companies that test each batch so you know what you're getting. Turns out some ingredients are seriously brought in bulk via China and left untested. “Generics”. Will it burn stomach fat? Answer: Yes, I haven't even been taking it that long and I'm already seeing some results. Helps with your focus as well. In regards to nootropics, how does this compare to Alpha Brain? Answer: I'd have to say this is the greatest brain booster I've ever used. I haven't used Alpha Brain but I've tried plenty of other brain supplements and this is the best. Yes, I'm losing weight but I've been thinking clearly and I seem to be able to recall things much easier. As a dietary supplement, men and women take 1 capsule twice a day 30-45 minutes before meals for 3 days to assess tolerance. Continue with 2 capsules twice a day before meals. For maximum results, accustomed users take 2 capsules, three times a day before meals. Avoid taking before bedtime and do not exceed the recommended dosage. For best results, use for 60 days in combination with diet and exercise. Project ALTA Focus Review – Can this Innovative Supplement Really Boost Your Cognitive Focus?